TIP: took me 10 minutes to figure out why I could not create an emulator image , make sure that in your package manager you install the Tizen 4 TV emulator and the Tizen SDK tools. Under Extensions SDK make sure you also select TV extensions, the download of all of the SDK and emulators can take up quite a long time so in the mean time I had recommended that you head over to Microsoft Docs for Tizen for some light reading =). 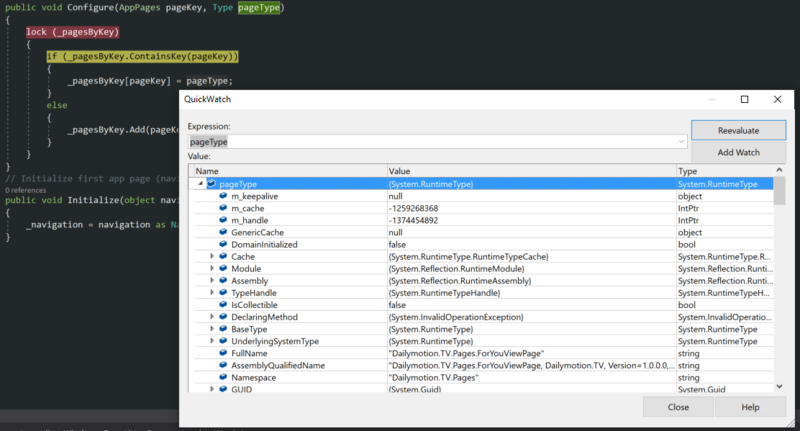 Last year when I used the Preview of Xamarin for Tizen here where my initial findings, you had the sensation that the SDK was not fully finish (being a preview that seemed normal), the emulator was very buggy and often crashed, the debugger did not work (unable to set a break point). 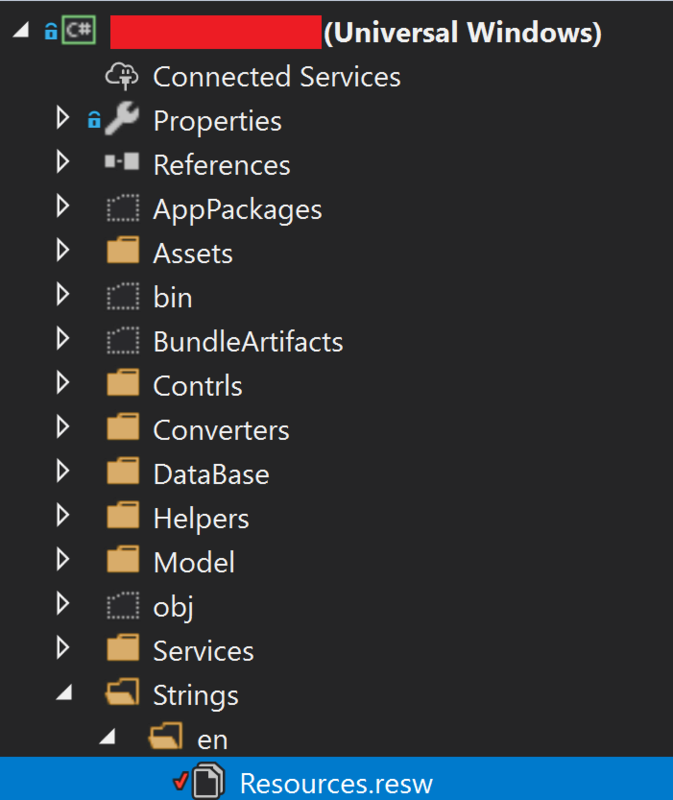 The application that I built is on one page for now, it receives and formats my data into a a list that contains a list. It will populate a ListView, this first ListView data template will hold another ListView so that we can show data horizontally (imagine the Netflix application). "The breakpoint will not currently be hit. No symbols have been loaded for this document"
which is not practical (at all!). Debug=>Options=>General => Remove the check mark for "Enable Just My Code"
and it did the trick for me. Not pretty but it gets the job done. For the Tizen, application the debugger is still "weak", it will break on you often unfortunately, another issue I found was that I was not not able to move the debug back when it hit a break point. And you could go inside the properties and investigate, this is a great improvement over the last time I tested this platform. On other issue that I found was that the debugger did not resurface errors, even when explicitly crating an error it never surfaced it. When launching the app in the Tizen Emulator it can take a few seconds for everything to lunch. It would seem that some of the binding elements are not 100% finished, none of the images will load. Also navigating inside the app is very very slow, from what I am seeing you might better off buying a Samsung TV to debug then using the emulator! Te emulator really works this time (last year I needed hacks to get it working), however only the version 5 worked for me and not the version 4, also you must arm yourself with patience for the app to load. Everything is very lagy in the emulator. 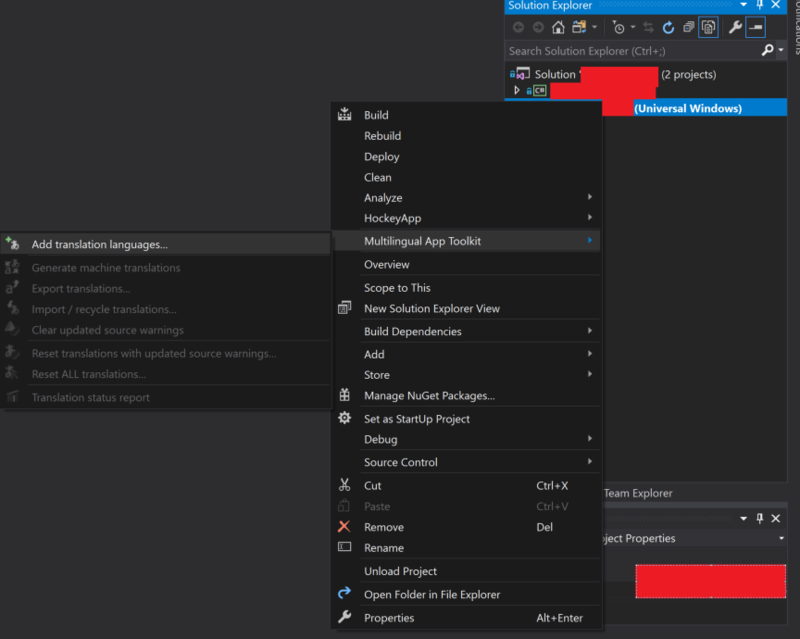 the debugger from Visual Studio is now working"ish", it can crash your Visual Studio but at least this time around you cant setup break points in your code. 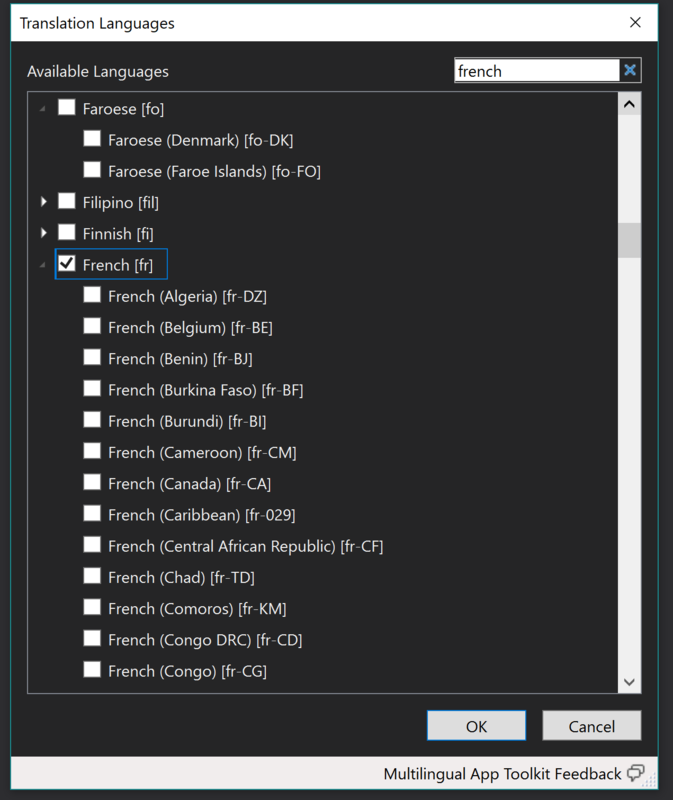 In this post we are going to see who easy it is to make your application multilingual using Microsoft Multilingual App Toolkit to translate your UWP application. First you need a class that will allow us to get the translated string by using the ResourceLoader property. 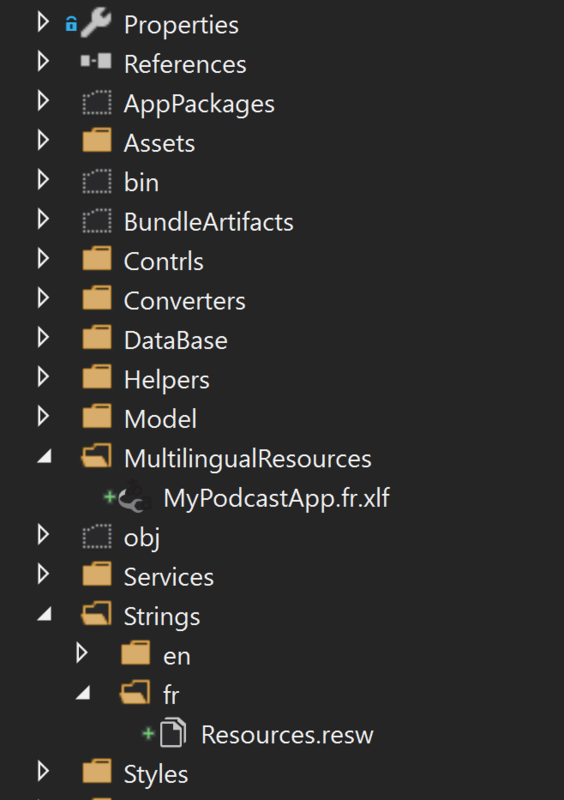 you will need to Enable selection in the Multilingual App Toolkit. 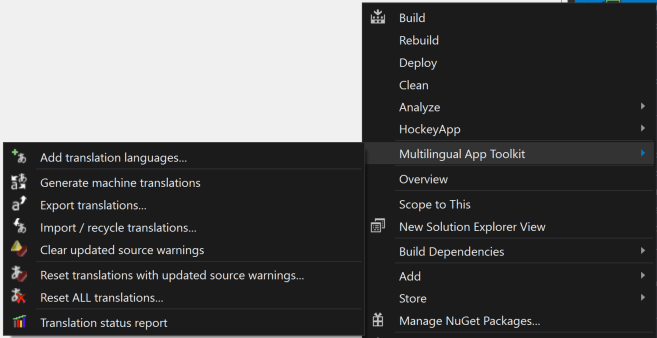 Next you are going to need to install the Multilingual App Toolkit 4.0 Editor. If you select Generate machine translations and you have errors most likely the issue is that you don't have the correct credentials to use Cognitive Services, you can fix this by reading this.